Please click here to view 3rd October supper’s reading, questions, notes, presentations, feedback and evaluations. 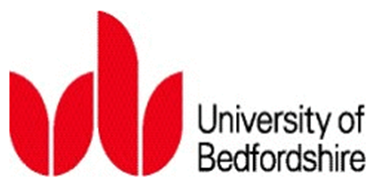 In this presentation Bedford-based educator Tom Barwood – geographer, teacher, writer and thinker – will take you on a journey from the Kazakh Steppe to our own backyard in Bedford. Having worked in every possible setting and with every type of teacher and child, he will help us to reflect in these dark times on how we got here, where we might go next and what as practitioners we might need to get us there. On the way he will take a critical look at education systems, teaching and being a teacher, and share some wry observations and anecdotes. After six years in Marketing and Advertising, followed by three years spent working his way round the world, Tom decided to combine all of his experience, along with his love geography, and become a teacher. He came into education with one goal in mind – to be an inspiration and he continues this mission by providing workshops for students and teachers in all aspects of ‘learning to learn’. Wildly energetic and irrepressibly enthusiastic, Tom was so excited by all the work being done in the area of new learning techniques that he took his experiences one step further to work as a freelance trainer with students and teachers in schools all over Britain. He specialises in the fields of motivation, self esteem and thinking skills, and has a particular interest in ‘employability’ and dealing with student disaffection, particularly amongst boys. In the last thirteen years Tom has visited hundreds of schools all over Britain, mainland Europe and the Middle East. These have ranged from the most prestigious independent schools to state comprehensives and academies in the most challenging areas. He has worked with pupils from Year 2 to Year 13, with the academically least able to Oxbridge hopefuls and with teachers from NQTs to seasoned professionals. Tom is also the author of best selling ‘Learning to Learn’ from Teachers Pocketbooks and in 2010, won the prestigious ‘Education Resource of the Year’ Award. Regardless of the audience, it is Tom’s enthusiasm, passion for learning, inspirational style and desire to see everyone fulfil their true potential that mark him out as an outstanding educationalist.